The CITB Health, safety and environment test (formerly the Health and Safety Test) is taken by over 500,000 people every year, ensuring that everyone working in construction has a minimum level of health, safety and environmental awareness. Our online store provides the necessary tools to help with your preparation for the test. There's no need to worry about your test as long as you are prepared for it. There is no substitute for good Health, safety and environment training. 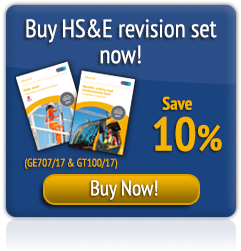 Our revision materials are the perfect tools to help you prepare for the test. Whatever your health, safety and environment experience our revision materials contain everything you need to know to book, prepare for and sit the health, safety and environment test. 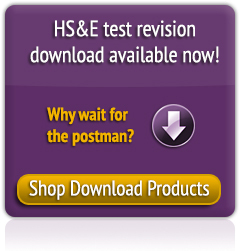 Ensure you purchase the correct revision material whether it is for operatives and specialists or the managers and professionals test. You can pay for your CITB test by credit card, cheque, postal order, debit card, BACS and by voucher. The test voucher which you can purchase via this online store will provide you with a unique voucher number. You will need to quote this voucher number when paying for your test. 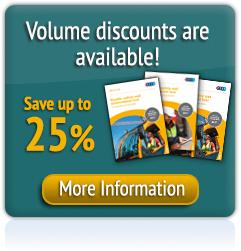 See the full range of publications, CDs and DVDs available from CITB*. * Unfortunately we are unable to offer a unique shopping basket for purchases made in both the Health, safety and environment test online store and the CITB website. Purchases on both sites will automatically set up two separate shopping baskets.